SSC Vacancy For SI in Delhi Police, CAPFs, and ASI in CISF Exam 2017- As on 06-09-2018 are given below, Candidates looking for Government (GOVT.) job / sarkari naukri should refer this circular from Staff Selection Commission of India. 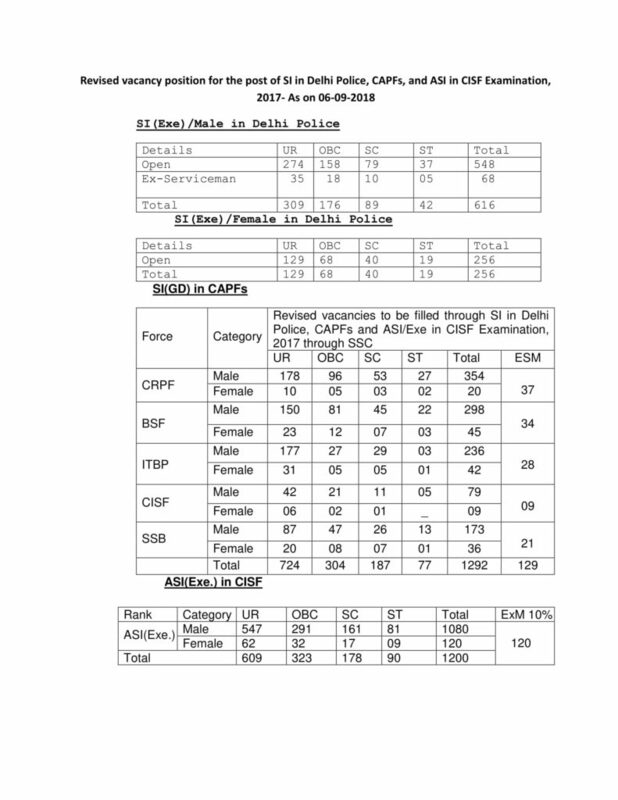 Download Circular for SSC Vacancy For SI in Delhi Police, CAPFs, and ASI in CISF Exam 2017- As on 06-09-2018 Government (GOVT.) job / sarkari naukri by Staff Selection Commission of India. SSC Results Stenographer Grade C & D Exam 2018 - Candidates Qualified For Skill Test have been announced on 15th April, 2019. Stenographer Grade C & D Examination 2018 - Declaration of Result of Computer Based Examination to call candidates for Skill Test.